Battery operated cars have become the norm with Tesla leading the park with some innovative car designs. Gasoline fuel stations are saturated across cities and it is common to find one after driving a few miles. This is not the case with electric cars. You need to leave your house on a full charge and hope it will run the car to the next charging station. Most of the electric cars will be charged to 80 and 90 percent. 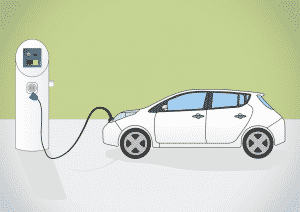 Charging an electric car from 10% to 50% takes less time than charging from 80% to 100%. This is because the car loses charge as it tries to top it off. The Tesla version you have and the battery in place will determine the charging system for Tesla. 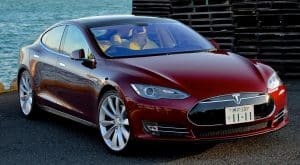 For instance, the Tesla version comes in either a standard 60kWh battery, lithium-ion battery or 85 kWh unit. In some instances, you will find the model S having one or more onboard chargers and this will influence the charging time. If you have the standard 60 kWh battery you get a range of 232 miles while the more powerful 85 kWh provides 300 miles. The battery while powerful comes for an extra $10,000. Using a 110 volt and at a rate of 5 miles for every hour of charge you should get to 300-mile charge at 52 hours. If you want to charge for shorter periods then use the 240-volt socket which gives 31 miles for an hour of charging. Charging for 300 miles will cost you 9.5 hours. To charge your Tesla model fast then get twin chargers in the car and connect them to a wall mounted 90 amp, 240 volts wall connector. This will increase the charging time to 62 miles per hour and for 300 miles will take you 4 hours and 45 minutes. It is this system that enables Model S owners to charge faster than the rest. In most of the public electric charging stations, you should do this at a rate of 22 miles per hour. If you have a Model S that is configured for supercharging you can charge for 300 miles for an hour. This is due to the 480 volts at 120 kWh delivered at Tesla Supercharger stations. The time it takes to fully charge your Tesla model will be determined by the charging system that you have at home and how full your battery is. This means it can take you somewhere between one hour to 12 hours. When you head to a Tesla shop you will issue with mobile charging cord, and three adapters. One of the adapters is for use in Tesla charging stations with the exception of the superchargers, the other is a 240-volt wall outlet and a standard wall outlet. This is for all Tesla Model X and S. The slowest charging system is the NEMA 5-15 that plugs to standard outlets. You can use the charging system for overnight charging due to the 3 miles per hour range that you get. The NEMA 14-50 is similar to what you use in your clothes dryer and can be connected to a 240-volt wall outlet. With the charge, you can charge your Model S at hours and 10 ½ for the Model X. If you can always choose to upgrade your home charging unit and get between 6 to 10 hours charge. Talk to your electrician for the upgrade. What is the cost of charging a Tesla model? Charging prices vary and range for a low of $6.60 in Washington to a high of $21.00 in Hawaii. The cost of charging corresponds to the prices of electricity at the time. If you want to get lower charging amounts then it would be prudent to install solar panels at home. You can even resupply extra amounts to the national grid and earn credits. Solar panels have a huge initial investment but you should break even after seven to eight years. You should also expect to use them for the next 20 years. If you want to maximize your charge for any Tesla model then you need to adopt new driving habits. This will include not rotating the wheels all the time and not pressing the accelerator too hard. It is estimated that a Li-ion battery will experience a 5% degradation after the car has done more than 50,000 to 80,000 miles. As you can see the battery has a long lifespan but only if you optimize well. The first thing you need is to avoid fully charging your battery all the time. The only charge to 100 per cent when you are doing long trips otherwise charge your battery to 90%. The debate is still on the optimized charge with some recommending 75% and others 50%. But how often you use the car and mileage needed before the next charging station will play a key role. Tesla has an innovative app that you can monitor your charge limit. This will help in long-lasting battery. There are four types of chargers that come with a Tesla model – wall connectors, NEMA 5-15, NEMA 14-50, and Tesla Superchargers. The slowest is the NEMA 5-15 and the fastest is the Tesla Superchargers. The wall connectors enable you to charge your car at home. On average it will take you 10 hours to fully charge your Tesla on the NEMA 14-50 plugs through a 240v outlet. The cost of charging your Tesla will be determined by prevailing electricity prices. If you realize that you are spending too much on electricity you may opt for solar power. The panels have a high initial cost but you should be able to break even in a couple of years. You should use your solar panels for the next 20 years.